On February 26, 2015, the Federal Communications Commission (FCC) moved to adopt strong net neutrality protections in a 3/2 vote that was a huge victory for musicians and indie labels who want a fair shot at reaching audiences online. The decision to reclassify broadband Internet service under a “common carrier” framework was also a big win for music fans, as well as a testament to what is possible when creators, artist advocates, civil rights groups, media reformers, tech innovators, public interest groups and grassroots activists from all parts of the political spectrum come together. But as significant as this victory is, it doesn’t mean that the war has been won. In fact, now that the FCC has done its job, the the battlefield will likely shift to Congress and the courts. There are still many legislators who remain stubbornly confused about what net neutrality actually is (or they are being willingly misled). Either way, some members of Congress are doing their best to throw a wrench in the gears, or, um, the tubes. You’ll remember that in January, we reported on a bogus “net neutrality compromise” draft bill floated by Senator John Thune (R-SD) and Rep. Fred Upton (R-MI) that in reality amounted to a last-ditch attempt to stop real net neutrality from moving forward. That bill hasn’t gone anywhere, and the FCC went ahead with with its plans. Now, Rep. Marsha Blackburn (R-TN) has introduced the comically misnamed “Internet Freedom Act.” The best thing you can say about this bill is that it’s straightforward. It says that the new FCC rules “shall have no force or effect” and forbids the FCC from revisiting the issue. Blackburn has introduced similar legislation in years past; like previous efforts, this bill is unlikely to make it through the full Congress, and even if it did, a veto by President Obama is practically guaranteed. But that doesn’t mean there’s nothing to worry about. Some in Congress are still looking to thwart the FCC’s sensible rules before they are implemented. This could happen through an array of procedural roadblocks. Last week, in a routine House Commerce & Energy Committee hearing on FCC budgeting and oversight, FCC managing director Jon Wilkins was briefly sidetracked with questions on net neutrality, but the hearing mostly stayed on topic. However, we expect that the topic will come up later this month, as number of House and Senate committees may examine the issue, possibly inviting all five FCC commissioners as witnesses. Net neutrality opponents are likely to use these hearings as a platform to attack the new rules (and show their support for big telecom donors). Meanwhile, action may also take place in the courts. Remember, the whole reason we’ve been fighting this battle is because internet service provider Verizon sued the FCC over its previous Open Internet Order, resulting in the order being vacated (thrown out) by a federal court in January 2014, which necessitated new rules to protect small business and free speech online. 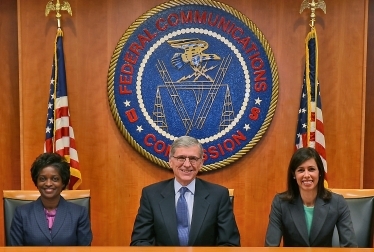 The FCC made the right move and crafted its rules under strong legal footing. But the big ISPs remain lawsuit-happy. Regardless of what choice the FCC made, it was generally expected that gigantic companies like Verizon, AT&T and Comcast would sue for the opportunity to make more money by selling fast lane access to content providers who could afford it. In other words, we always knew that the FCC was headed for Lawsuit City; the difference is now that Title II has been invoked, they’re driving a tank instead of a convertible. The strong protections afforded by Title II stand a much better chance of holding up against the ISPs in court than other weaker options that were considered over the past year, which is one reason we favored such rules. Our big win on Title II is a victory worth celebrating, but it’s going to be important to stay vigilant as this movement enters a new phase. Big cable’s armies of lobbyists haven’t gone away, and they’re hard at work finding ways to undo the progress we’ve made together. Artists have pledged to defend the FCC’s new rules, and we fully intend to make good on that promise. Myth: There’s something sketchy about the full text of the order not being released yet, even though the vote’s already happened. “Final edits” don’t mean a secret attempt by officials to scribble in new regulations at the last minute. Here’s what that means instead: Under the FCC’s procedures, dissenting arguments must be tallied up and responded to by the FCC’s majority — in this case, the Democrats. When that’s done — probably after a few weeks — the FCC will post the rules on the agency’s Web site. At that point the public will be able to see the specific language. It’ll be another few weeks before the document will be published in the Federal Register, the collection of all the rules and notices adopted by the government. For the most part, the rules won’t take effect for another 60 days after that. Certain parts of the regulation will take even longer. Submitted by Tatum Alexander (not verified) on March 10, 2015 - 1:28am. It's actually hard to call this a win, or even comment on the regulation as NOBODY knows what the actual regs are yet. And I really have a hard time putting much trust lately in anything some Politician or Bureaucrat says on it, especially if they are the ones selling it. They like to put pretty names and talking points on garbage legislation--they are experts at wrapping the wolf in sheep's clothing. To be honest with you, I'm not even sure there was really a dire need for any of these "neutrality protections". Submitted by kevin on March 16, 2015 - 1:03pm. Let's put it this way: we're musicians and activists, not politicians or bureaucrats, but we've been calling for this for over a decade. Since you posted your comment, the regulations have been released and....turns out there's no big surprises, it's exactly what we thought it would be and almost exactly what we asked for.